For many years I have been collecting stories from literature and cultural folklore concerning textiles that contain magical properties. The magic may be due to technique, the creator of the fabric, some supernatural intervention or the fibers used. One of my favorite fairy tales is called Wild Swans ( also 12 Swans or, sometimes, 12 Princes) by Hans Christian Anderson.. In this story, a beautiful princess weaves shirts made from the fibers of the stinging nettle plant for her brothers. The young princes had been changed into wild swans by their wicked stepmother. When the shirts were pulled over their heads the birds became young men again. These wonderfully soft shirts, made of something so unlikely, could reverse magical spells and endowed the wearers with magical powers. Stinging nettle, Urtica dioica, is a herbaceous perennial 1-2 meters in height, found abundantly in northern Europe and Asia, less commonly found in Canada and US. The underside of the leaves have slender hairs containing several toxic chemicals which are released when brush against., hence its name. 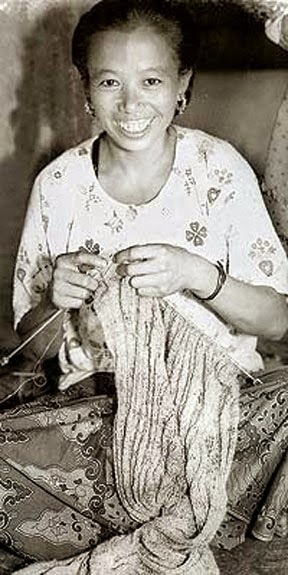 The textile fiber is a bast fiber found in the stem and is processed like flax. The finished fabric has a soft hand and has been used for bed linens and clothing. Nettle, which was still used widely in northern, central and eastern Europe into the 20thC, was found in a Danish tomb dating to 1,000BCE. 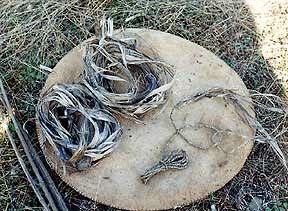 White fibers found at archeological sites which had been thought to be flax have been shown much later to be nettle. When Germany and Austria ran short of cotton during WWII, the value of nettle was recognized and 2 species were chosen for textiles. It is estimated Germany harvested over two thousand tons of wild nettle to weave fabric for their soldiers. 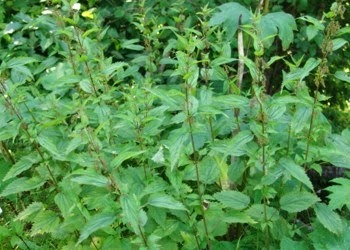 Nettle has also been used as a food product. The toxicity is destroyed with cooking. When my husband and I traveled to Istanbul several years ago we were served nettle as a vegetable. I must confessed I was rather under-whelmed, it was much like cooked spinach.